LONDON • It is not often that managers are on the same side of the fence when it comes to refereeing decisions, but Maurizio Sarri and Mauricio Pochettino were in unison when they spoke out against the video assistant referee (VAR) on Tuesday. Chelsea manager Sarri complained about the Harry Kane goal which gave Tottenham a 1-0 advantage after the first leg of the League Cup semi-finals, suggesting that English referees are unable to use the VAR system. Kane was upended by the Chelsea goalkeeper Kepa Arrizabalaga as he ran through in what was a clear foul inside the area, but there was controversy when the assistant referee raised his flag for offside against Kane before the incident. After a lengthy 90-second VAR review, the Spurs striker was deemed to have been onside, the penalty was duly awarded and he scored. But Sarri argued that the assistant referee had stopped the game when he flagged and, in the process, unnerved his defenders, who presumed Kane was offside. In a further twist, he also suggested the technology had got it wrong. Having watched the replays on Chelsea's feed, he insisted Kane was offside. "Our camera was in line with Harry Kane and he was offside with the head and the knee," he said. "Maybe the VAR camera was in a different position. But, from our position, he was clearly offside. "It was also really important that the linesman stopped running with play - he had a big impact on our defenders. I don't think English referees are able to use the VAR system. "If you are not sure with the system, you have to follow the ball and at the end of the action decide. "But he stopped and didn't follow the ball - for our defenders, it was clearly offside. "In Italy, there is VAR and, in the first season, it was a disaster. The referees did not know how to use the system. I think at the moment the (English) referees are not ready to use the system in the right way." Despite the victory, Spurs manager Pochettino agreed that Kane's winner had left a sour taste. "It's a system that sometimes kills emotions," the Argentinian said. "Of course today, it was a little advantage for us and was a good decision for us, but I didn't celebrate because we were waiting for five minutes. "To get the benefit is nice, but I am unhappy to win the game like this. I am pro-technology because you cannot stop evolution, but we were waiting so long (for the decision) - it is not clear what are the rules." VAR, which was used at last year's World Cup and is set to be introduced in the Premier League next season, was also in the spotlight during the weekend's FA Cup ties. At one game, Burnley manager Sean Dyche was left bemused when a penalty decision in favour of his side against Barnsley was overturned just as Matej Vydra was in his run-up to take it. 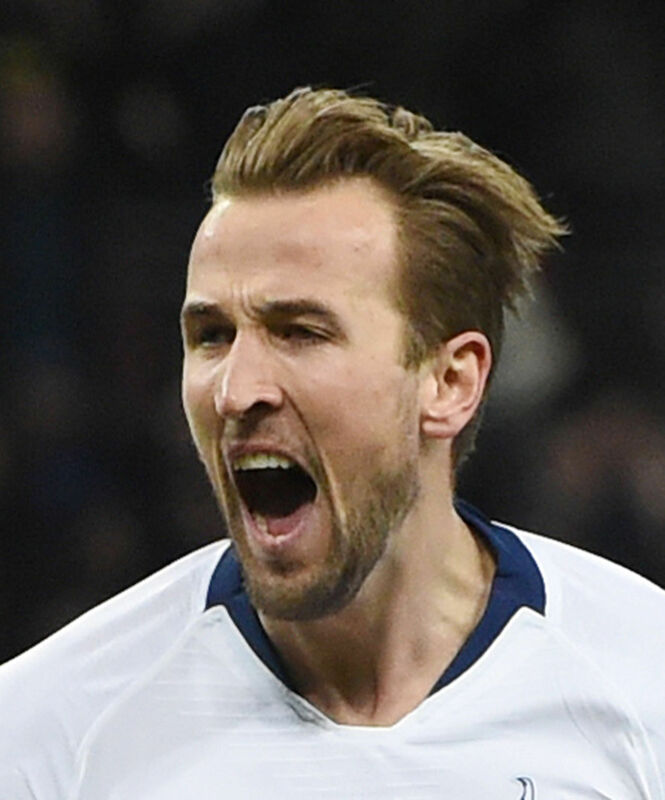 Harry Kane has scored in each of his last six games in all competitions for Spurs, equalling his best streak for the club (six games between October and November 2015). Tuesday's incident drew mixed reactions from the pundits. Former Chelsea midfielder Joe Cole said on Sky Sports: "VAR is supposed to take away the debate and make things clear-cut. But it's opened up a massive debate." Former Spurs forward Robbie Keane believes the decision was right. He said: "I understand when defenders put their hands up and stop, but they wouldn't have caught him anyway. They were 10 yards behind Kane." Meanwhile, London's Metropolitan Police arrested three men for a "racially aggravated public order offence" before the match. It was understood the language used was allegedly anti-Semitic. The statement did not mention if the men were Chelsea fans or Tottenham supporters. Spurs also announced yesterday that they will stay at Wembley until at least the end of next month as the finishing touches are put on their new 62,000-seater stadium. The Premier League home games against Watford, Newcastle and Leicester will all be played at the national stadium.